The first step is deciding that you want a custom made aquarium, that’s the easy part. Once the decision has been made to construct a custom aquarium system, most people already have an idea whether they want a saltwater aquarium, high-end reef tank, or perhaps a simple freshwater aquarium. The type of underwater creation that you plan to contain in your custom aquarium can impact the type of material that you use to construct your aquarium. The purpose of this article is to go over the options that are available to you as you begin your custom aquarium project. The following is some information to help you make your decision. 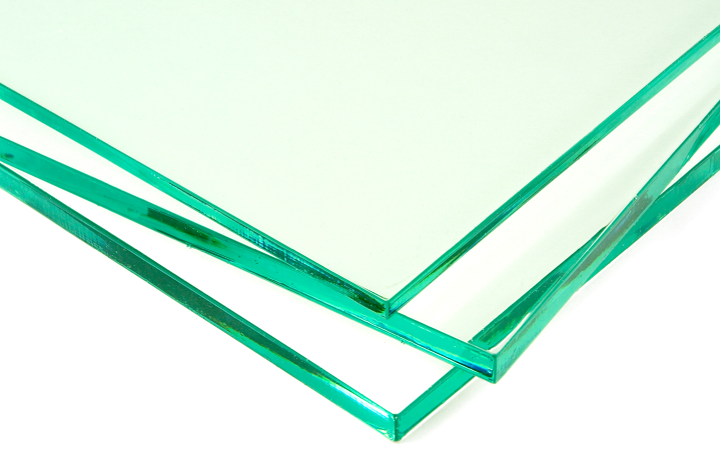 By far the material most commonly employed to build aquarium tanks is glass. Glass is actually manufactured heating ordinary sand (which is mostly silicon dioxide) to 1700 degrees celsius (3090F). At this temperature, the sand will literally liquefy. The liquefied sand is poured over tin plates to form panes of clear glass. When it cools, the material is transformed into the transparent amorphous solid that we are all familiar with. 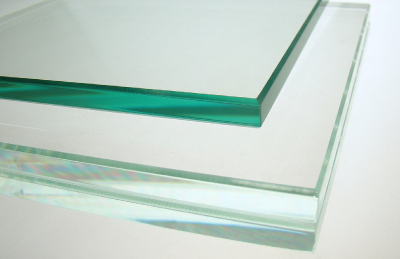 Check out this awesome video on the manufacture of glass panes. Contact Fish Geeks today to discuss a custom aquarium installation in your home or office. When used to construct aquarium tanks, glass has many distinct advantages. It is cheap…at least relatively speaking. For most small and medium sized aquariums (under 200 gallons) glass represents a cost effective solution. It is scratch resistant – very advantageous due to the large variety of tools that will be at your disposal to keep that glass clean. Because scratching isn’t a large concern, metal blades are a common and very effective tool to remove algae from the inside of your aquarium window. Even razor blades can be used with great success if care is taken not to damage the silicone seals. No Age-Related Discoloration – Glass will not discolor or ‘yellow’ with time as some types of acrylic are prone to doing. Though it is important to note that typical glass does contribute a blue tint to the view, particularly for thicker glass panels. Starphire glass is a much more colorless alternative. Unfortunately, glass does have some potentially serious disadvantages as well. Heavy – roughly twice as heavy as acrylic, this can be a serious drawback for the largest aquariums. This is a very serious drawback for larger aquariums. Tanks in excess of 100 gallons will exceed 200 lbs dry weight. 180 gallon aquariums can easily exceed 300 lbs dry. Custom built aquariums, which lack the plastic formed braces and typically use glass braces instead can be even heavier. Shapes and sizes can be limited – as compared to materials like acrylic, glass is relatively limiting in terms of the shapes and sizes of aquariums that can be constructed. This is particularly true if you are considering a custom glass aquarium manufactured specifically for your aquarium build. Gaining in popularity is the construction of custom built acrylic aquariums. Before going too far in-depth about the positives and negatives of employing acrylic to build a custom aquarium, its important to be clear on exactly what material I am referring to by using the term ‘acrylic‘. The term ‘acrylic’ doesn’t just refer to a single type of material, there are actually a variety of types of acrylic. Acrylic is sometimes referred to as‘polyacrylate’, however polyacrylate is actually just one of the more common types of ‘acrylic’. Acrylic can be made from two basic groups of molecules, methyl methacrylate and/or polymethyl methacrylate. 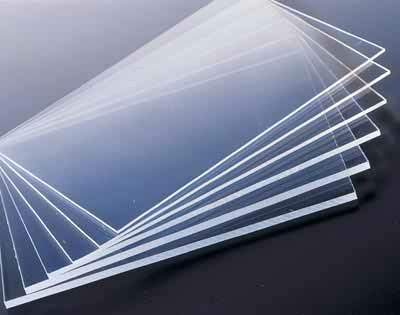 Plexiglas, Lucite, Perspex, and Crystallite are brand names of polymethyl methacrylate types of acrylic. Acrylic has many distinct advantages when used as the material to construct an aquarium. Lighter – Acrylic is much lighter than glass. As aquariums get larger, a material that can offer you at least 50% the weight of glass while maintaining strength and integrity is certainly an appealing option. Stronger – Acrylic is about 17 times stronger than glass of the same dimension. This means that not only is it lighter at a similar dimension, but you can also use a smaller dimension as compared to glass and benefit from a very significant weight decrease. Additionally, the joints between acrylic panels are literally chemically fused together. This provides a level of strength and security that glass aquariums with their silicone seals cannot match. Customizable – because acrylic can be molded to form many different shapes (usually – depending on the exact type of acrylic you’re working with) it is easily the more customizable of the two materials. Modifications to existing aquariums can be conducted using tools common in the average home workshop. With all these distinct advantages of acrylic, it is important to note the disadvantages as well. Scratches – No matter what custom acrylic tank manufacturers tell you, acrylic scratches VERY easily. For the discerning aquarist for whom scratches in the window might be a frustrating eye-sore, the decision to make their aquarium tank out of acrylic could be one they regret. *It is important to note that unlike glass aquariums, scratches in acrylic CAN be removed by employing a buffing process. Whereas scratches in glass are pretty well permanent. Because of the propensity to scratching, you will be limited to plastic and other acrylic-safe cleaning material and/or equipment, and metal blades (even non-sharpened) cannot be used with acrylic aquaria. Expense – there’s just no getting around it, acrylic is expensive. Additionally, other than a few small nano aquaria on the market, most sizable acrylic aquariums are custom manufactured. This means that the materials cost is far more likely to vary with market costs…which can be significant, especially over time. Yellowing – Yes, acrylic can yellow over time, depending on the type of acrylic being used. Be sure to question your acrylic aquarium manufacturer to ensure that non-yellowing acrylic is being quoted for your custom aquarium build. Other considerations to make when thinking about which material to choose could be the size of the decor that you plan to add to your aquarium once it is completed. With the popularity of DIY aquarium backgrounds and 3D backgrounds available for sale, it should be noted that acrylic aquariums often have a restricted access (unless specifically ordered otherwise). This can make installing artificial coral reef inserts or DIY background inserts quite the chore, if not impossible, in some custom built acrylic aquariums. I wish I could say that there is a clear cut and dry superior material for the construction of aquariums. There just isn’t. There are plenty of custom aquarium manufacturers that will try and sway you towards the material that they employ to manufacture custom tanks. Obviously, they have a bias. There simply is no ‘better’ option for materials when building a custom aquarium. The ‘best’ material for your custom aquarium installation depends on the particular set of circumstances for that particular custom aquarium build. The right material for your custom aquarium build depends on the design of your aquarium system. Because glass is more scratch resistant and acrylic is easily workable, I often have custom glass aquarium constructed and will employ a custom designed acrylic sump or refugium, getting the most of the material I select for each component. For large custom aquariums, it’s quite typical to employ acrylic. The primary reason is that above a few hundred gallons, custom glass aquaria are far too heavy to be moved by man-power alone. Thus due to the necessity of mechanical assistance, the logistics of installing large custom glass aquariums is typically cost prohibitive. Another big consideration is whether or not you plan to have a reef aquarium in this tank. It sounds quirky, but I’ll never voluntarily put a reef in an acrylic tank again. The combination of high light levels, coralline algae growth, sand, and high expectations, combine to make the prospect of fitting a reef inside a custom acrylic aquarium somewhat unappealing. From the perspective of a person who cleans the inside windows of aquariums big and small, glass makes my job so much easier. Thus it will do so for you as well. However, if you have a unique idea for an aquarium that has an unusual shape, acrylic is most likely your best material choice. Custom tank manufacturers can achieve many different sizes and shapes. Additionally, acrylic can be drilled and modified relatively easily. If you have a truely innovative aquarium idea, perhaps acrylic is the best way to build the custom fish tank of your dreams. The insight and experience a custom aquarium installation expert can have on your custom build cannot be understated. I’ll close with a recommendation that you seek out expert advice when trying to make a decision that could have a serious impact on your bank account. Rather than searching for discount aquariums or trying to find someplace that can offer wholesale aquarium sales direct to the public, your goal should be to find the best aquarium expert in your area. The insight and experience a custom aquarium installation expert can have on your custom build cannot be understated. If this is your first multi-hundred gallon aquarium it may behoove you to have a discussion with a quality local fish store or professional aquarium services company such as Fish Geeks. Finding a trustworthy aquarium maintenance business that is also qualified to discuss larger aquariums can also be a challenge. It is particularly prudent to involve an experienced aquarium professional who can visit the site of your custom aquarium build and make recommendations with some specificity. Even if you decide to employ a 3rd party aquarium manufacturer, a professional fish tank installation service can save you a great deal of hassle if you include their consultation or expert advice in the earliest stages of the planning process. Good luck on your quest to build the aquarium of your dreams, whether that tank is glass rimless aquarium planted in the nature aquarium style or if you plan to shock the world with twin acrylic reef aquariums, the world is your oyster. You just need a good plan. And for a quality aquarium display, that foundation is the tank.